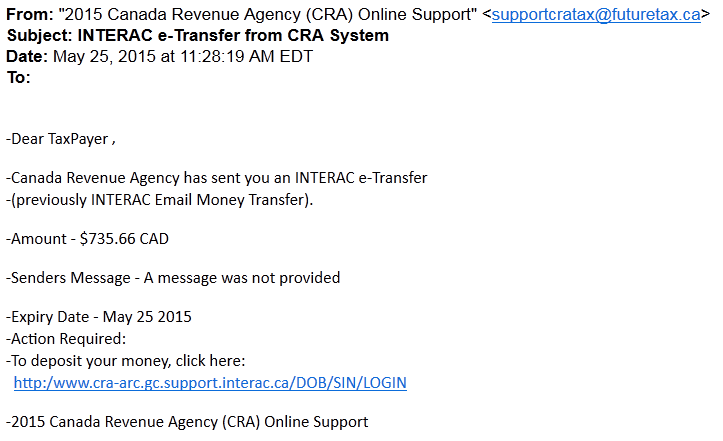 Phishing Money Transfer Alert! - FutureTax - Canada Tax Software, NETFILE/EFILE/CIF/Barcode Certified, Free Download. FutureCA Corp.